KATHMANDU, April 12 : The International Cricket Council U-19 one-day Asia Qualifier is taking place in Malaysia from today. 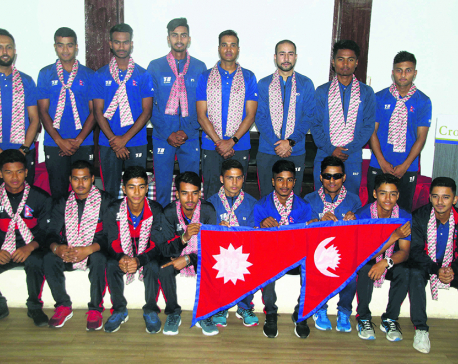 KATHMANDU, April 3: Nepal U-19 national cricket team’s final 14-men squad has been announced for the upcoming ICC U19 Cricket World Cup Qualifier Asia 2019 on Tuesday. The tournament is set to be held in Malaysia from April 10 to 18. 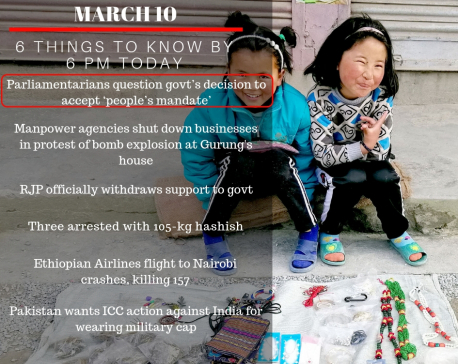 KATHMANDU, March 20: The final leg match schedule of the International Cricket Council (ICC) T-20 World Cup Asia Qualifier has been made public today. 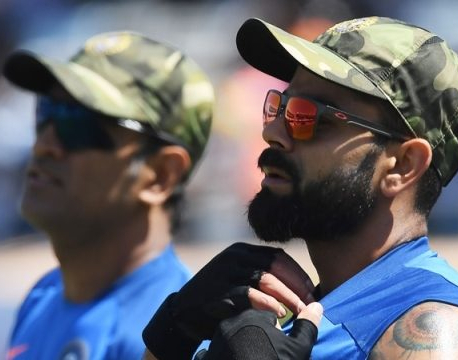 ISLAMABAD, March 10: Pakistan has demanded that the ICC take note of Indian cricketers wearing camouflage military caps during the third ODI against Australia, accusing Virat Kohli team's of politicising the game. KATHMANDU, Feb 27: Nepal has defeated Kuwait in the final clash of the International Cricket Council (ICC) Women World Cup Cricket Championship Asia Qualifier underway in Bangkok Thailand. 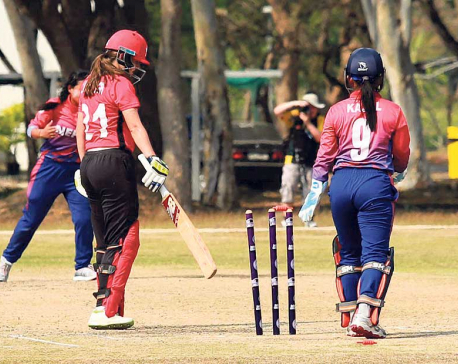 KATHMANDU, Feb 25: Nepal has defeated China by five runs at its fifth match under the ICC Women’s T20 World Cup Asia Region Qualifier held at Terdthai Cricket Ground, Bangkok on Monday. 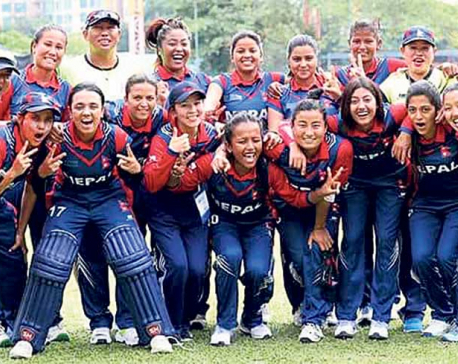 KATHMANDU, Feb 25: An impressive six-wicket haul from Nary Thapa helped the Nepal national women’s cricket team to register its third win in the ongoing ICC Women’s T20 World Cup Asia Region Qualifier, defeating Hong Kong by four wickets in Thailand on Sunday. 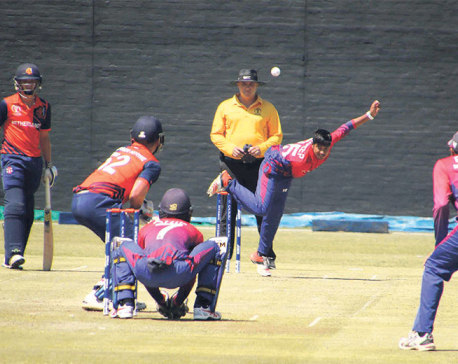 KATHMANDU, Feb 21: Nepal lost early wickets as it lost to host Thailand by 57 runs in the ongoing ICC Women’s T20 World Cup Asia Region Qualifier at Bangkok today. 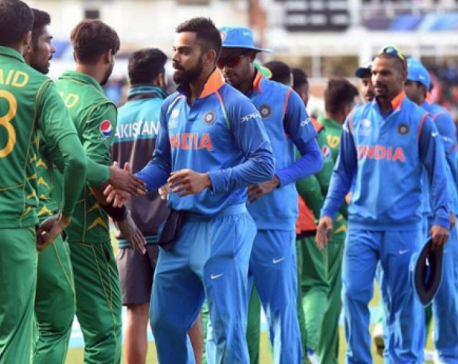 The International Cricket Council is confident the June 16, World Cup match between Indian and Pakistan will go ahead despite last week's attack claimed by Pakistan-based militants on Indian forces in disputed Kashmir, chief executive David Richardson has said. 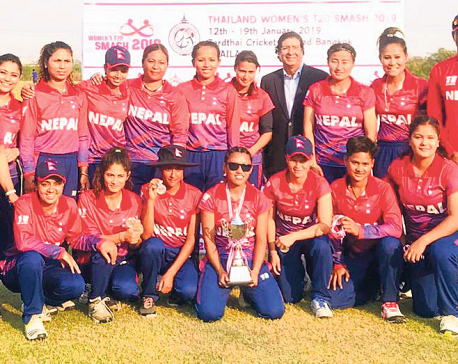 KATHMANDU, Feb 18: Nepal's national women cricket team which became the first runner-up team in the T-20 Smash Cricket Championship held in Thailand is going for the World Cup Qualifier tournament with high motivation despite short preparation time before going to Thailand again to play in the qualifier matches. KATHMANDU, Feb 16: A 14-member Nepal national women’s cricket team has been announced for the upcoming ICC Women’s T20 World Cup Asian Region Qualifiers on Friday. 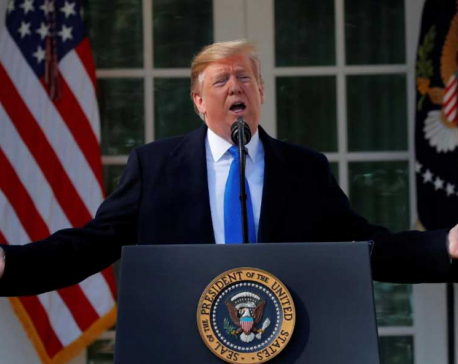 HAGUE, Feb 14: An international court Wednesday ruled Iran can proceed with a bid to unfreeze assets in the United States, rejecting Washington's claims the case must be halted because of Tehran's alleged support for international terrorism. 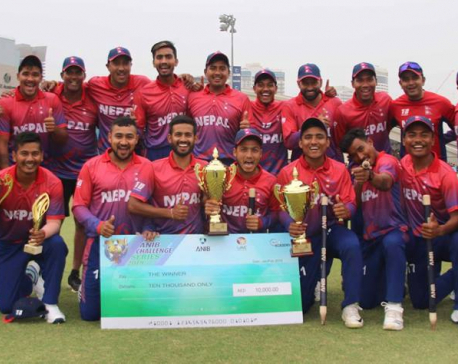 KATHMANDU, Feb 6: Nepal national cricket team arrived home on Monday after being triumphant in both One-Day International (ODI) and Twenty20 International (T20I) series against the United Arab Emirates (UAE) at ICC Academy in Dubai, UAE. Nepal won both three-match series 2-1, after losing the first match of each series. 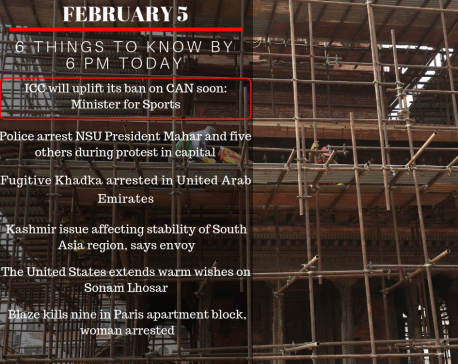 KATHMANDU, Feb 5: Minister for Youth and Sports, Jagat Bishwokarma said that the International Cricket Council (ICC) would soon uplift its ban on Cricket Association of Nepal (CAN). 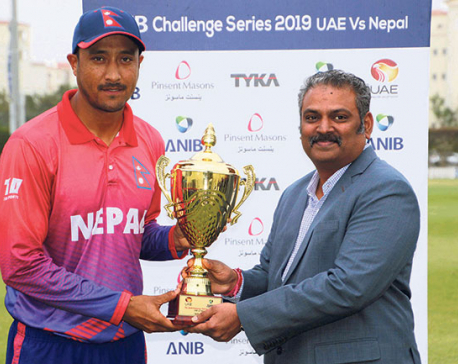 KATHMANDU, Feb 1: Nepal is fielding against UAE in the second match of the T20 Series underway at the ICC Academy ground in Dubai on Friday. 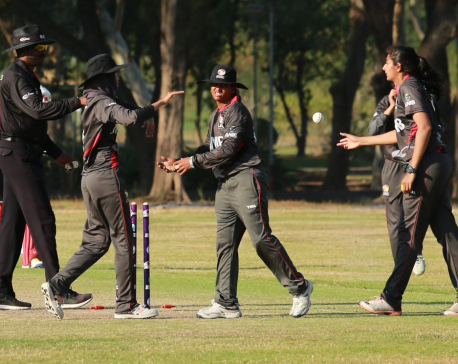 KATHMANDU, Jan 31: Nepal has lost to UAE by 21 runs in the first match of the T20 series underway at the ICC Academy on Thursday. 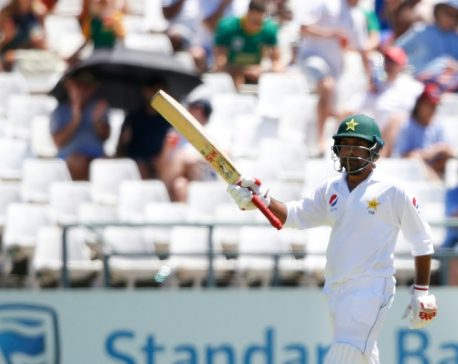 KARACHI, Jan 27: The International Cricket Council handed Sarfraz Ahmed a four-match suspension on Sunday after a racist remark made by the Pakistan captain was picked up by a stump microphone in South Africa last week. KATHMANDU, Dec 27: The successful completion of the third season of Everest Premier League (EPL) has proved once again that with strong will, hard work and transparency at work, Nepali cricket can go a long way, and host flagship events that would be recognized by the world even in the absence of Cricket Association of Nepal (CAN). 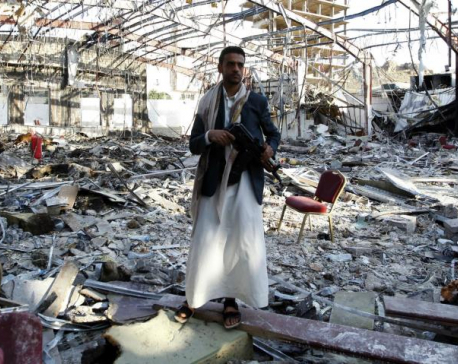 BUENOS AIRES, Nov 29: An Argentine judge reviewing a Human Rights Watch complaint against Saudi Arabia’s Crown Prince Mohammed bin Salman asked the foreign ministry on Wednesday to seek information from Turkey, Yemen and the International Criminal Court. On November 15, 2018, the International Cricket Council (ICC) of Nepal declared that the national women’s cricket team would take part in the 9 nation’s Women T20 Smash. The event is set to be hosted by the Cricket Association of Thailand from January 11 to 19, 2019. This came as good news for fans of cricket and sports in general but, less than two months till the event, and neither the coach nor the players have been finalized. KATHMANDU, Nov 16: The Everest Premier League (EPL) has finally obtained permission from the International Cricket Council (ICC). 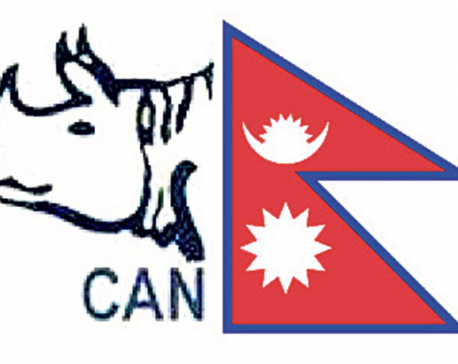 KATHMANDU, Oct 28: As the elected Cricket Association of Nepal (CAN) decided to withdraw the case that it filed at the Supreme Court against the National Sports Council (NSC) long time ago, cricket officials are now hopeful of the International Cricket Council (ICC) lifting the ban on the CAN imposed two and a half years ago. 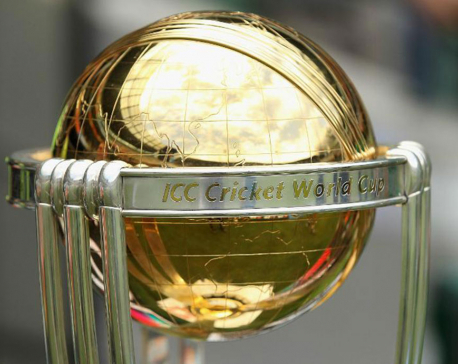 KATHMANDU, Oct 26: The ICC World Cup trophy has been brought to Nepal on Friday as part of the ICC Cricket World Cup Trophy Tour ahead of the world cup in England and Wales from May 30 to July 14, 2019. 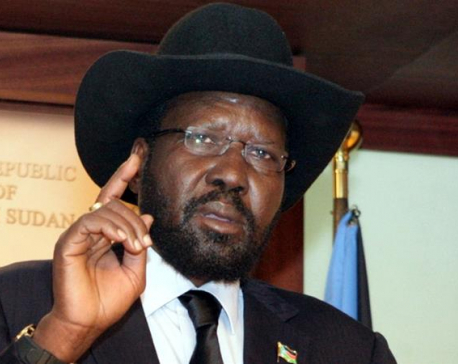 KATHMANDU, Oct 25: South Sudan’s President Salva Kiir said he is ready to face the International Criminal Court (ICC) if called upon to answer charges of crimes against humanity committed during the civil war, the country's Radio Tamazuj. 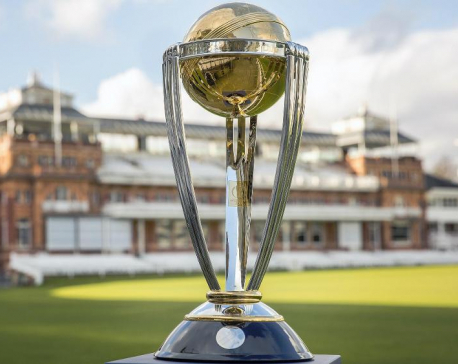 KATHMANDU, Oct 25: The Trophy of the ICC Cricket World Cup to be held next year in England and Wales is being brought to Nepal on Friday. KATHMANDU, Oct 13: The International Cricket Council (ICC) launched a global ICC Women’s T20I Team Rankings on Friday. Nepal women team found a place in 18th position with 117 points as Australia lead the table with New Zealand and England following at second and third positions. 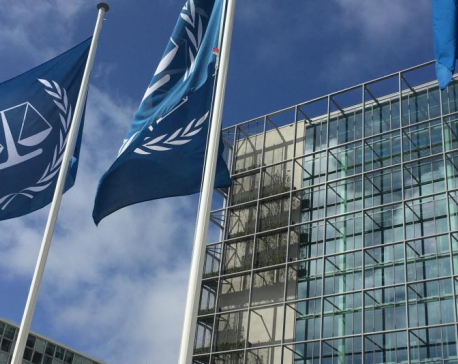 WASHINGTON, Sept 10: The United States on Monday will adopt an aggressive posture against the International Criminal Court (ICC) in The Hague, threatening sanctions against its judges if they proceed with an investigation into alleged war crimes committed by Americans in Afghanistan. When NRNA ICC participants and experts are returning from their visit to a rendezvous of exquisite beauty, unprecedented innovation, and prosperity, San Francisco, they are also taking home a revealing dream and commitment regarding prosperity and consolidation of resources in their motherland, Nepal. 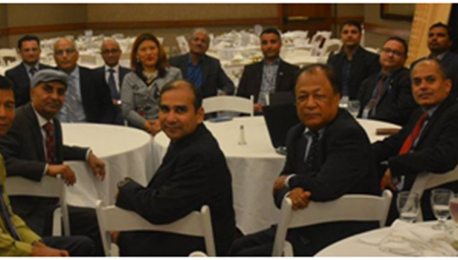 NRNA ICC’s North America Region’s Expert Conference on Skill, Knowledge, and Technology Transfer in Nepal, organized in California from June 16-17, has proved to be one of the rarest events of this magnitude that has inspired deep commitments, renewed energy, and uplifted morale of Nepali diaspora. KATHMANDU, June 2: Nepal and other emerging ODI sides, Scotland, the Netherlands, and the United Arab Emirates (UAE) have joined the 12 leading ODI nations on the expanded MRF Tyres ICC ODI Team Rankings with effect from June 1, 2018. 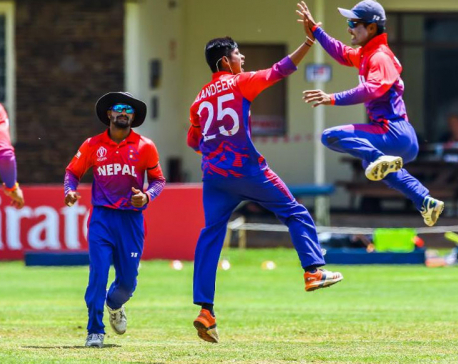 Nepal and the Netherlands will qualify for a full ranking after playing four more matches each. 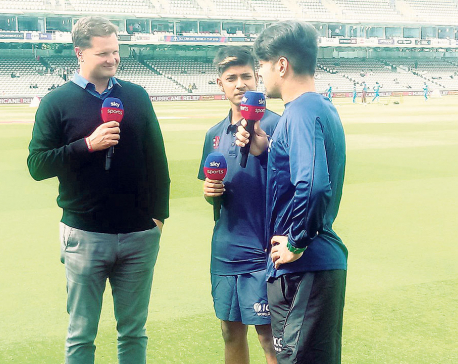 KATHMANDU, June 2: The teenage prodigy Sandeep Lamichhane made his official international debut representing World XI in a charity match against world T20 champions West Indies for Hurricane Relief T20 Challenge at the Lord’s Cricket Ground, London on Thursday. The 666th T20-International match will go down as the first status-based match first ever played by Lamichhane. 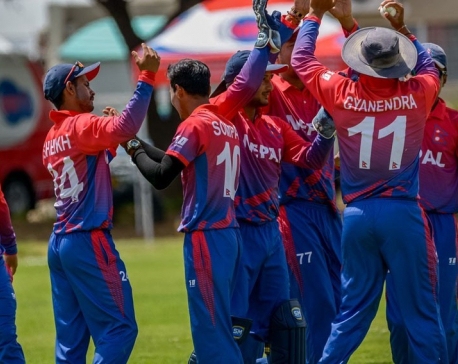 KATHMANDU, Jun 1: Nepal has been included in the International Cricket Council (ICC)'s ranking for one day international (ODI) teams. According to the ICC, the Netherlands, Scotland and the United Arab Emirates including Nepal have been included in the ODI ranking teams effective from today. 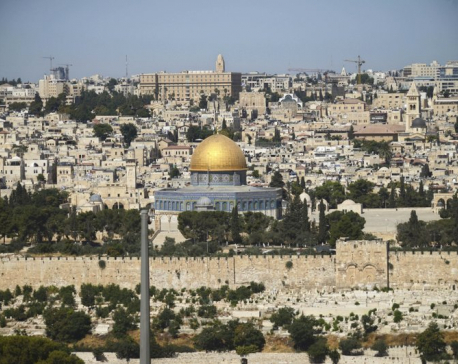 THE HAGUE, May 22: The Palestinian foreign minister asked the International Criminal Court on Tuesday to open an “immediate investigation” into alleged Israeli “crimes” committed against the Palestinian people. 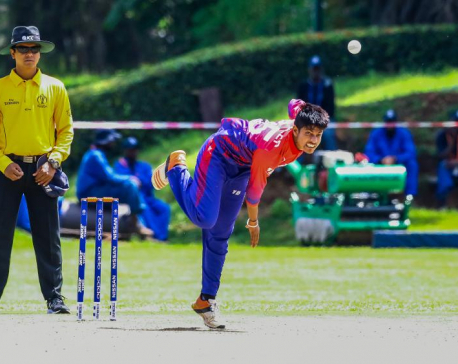 KATHMANDU, May 17: Spin sensation Sandeep Lamichhane’s reputation continues to rapidly rise in international cricket as he was the latest name to be unveiled as a member of the International Cricket Council (ICC) World XI to face West Indies in May 31 charity T20I match. ICC World XI is set to take on West Indies national team in a T20I match at iconic Lord’s stadium in London to raise funds for Caribbean stadia ravaged by hurricanes last year. 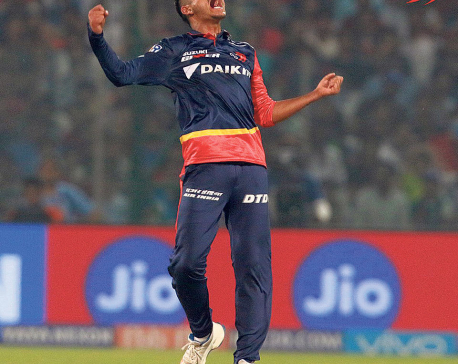 Success continued to follow Lamichhane when he became the first Nepali player to be picked in the IPL 2018 when he was signed up by Delhi Daredevils. He justified his selection when he returned figures of one for 25 on his debut against a Virat Kohli-led Royal Challengers Bangalore. 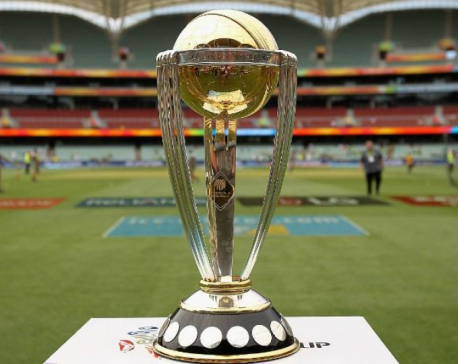 ENGLAND, April 27: The International Cricket Council (ICC) on Thursday announced the schedule for the 2019 World Cup to be held in England. 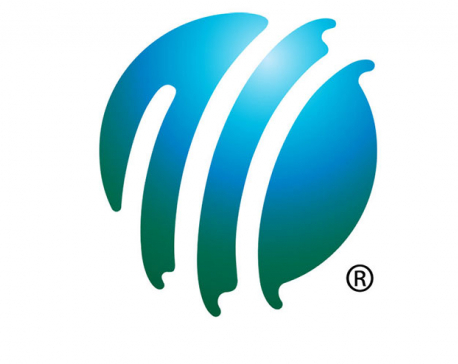 KOLKOTA, April 23: The International Cricket Council (ICC) will discus at its board meeting here about how to address the issue of accommodating more associate teams in future World Cups, an official said on Sunday. 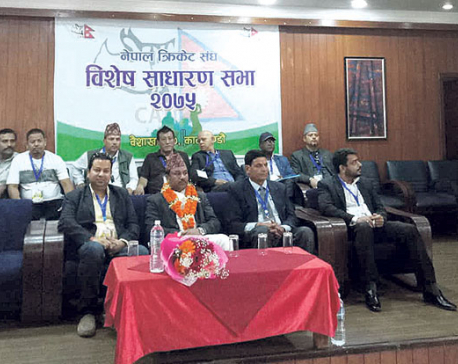 KATHMANDU, Apr 20: The Special General Assembly (SGA) of the Cricket Association of Nepal (CAN) held in Kathmandu on Thursday has passed its statute without making any changes in the version earlier amended and endorsed by the advisory group of the International Cricket Council (ICC). 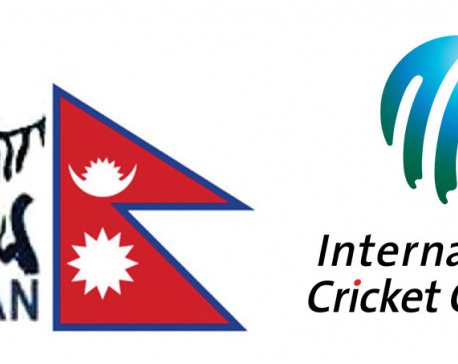 KATHMANDU, March 27: The Cricket Association of Nepal (CAN) has proposed the International Cricket Council (ICC) to convene the Special General Assembly in Kathmandu in third the week of April. 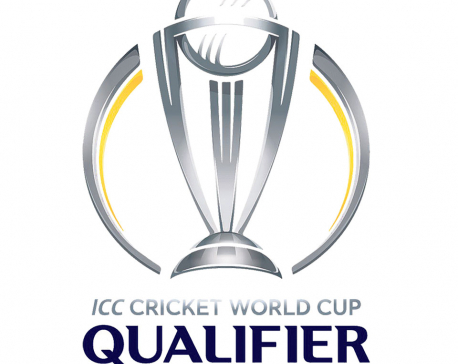 KATHMANDU, March 24: Afghanistan completed a remarkable comeback in the ICC Cricket World Cup Qualifiers to seal their place in ICC World Cup set to be hosted by England in 2019. 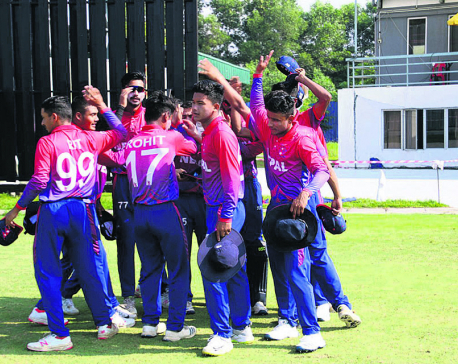 KATHMANDU, March 21: The national cricket team ended its ICC Cricket World Cup Qualifier 2018 campaign last week with a historic achievement of securing the One Day International (ODI) status and an eighth-place finish in Zimbabwe above two fellow associates Papua New Guinea (PNG) and Hong Kong. 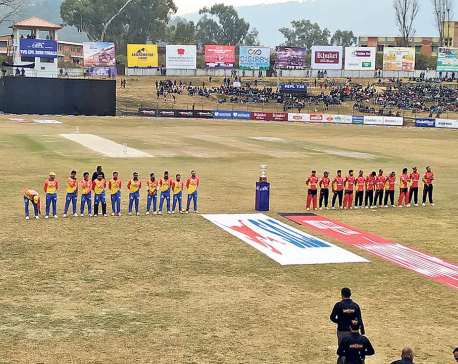 KATHMANDU, March 15: The International Cricket Council (ICC) has approved the second edition of the Ruslan Dhangadhi Premier League (DPL), which had introduced franchise-based T20 event in Nepal, scheduled to start from March 31 in Dhangadhi. KATHMANDU, Mar 13: International Cricket Council (ICC) has picked Paras Khadka, captain of Nepali Cricket team as one of the best performers in a batting order of sorts from the 20 games in the tournament out of the 11 best performers from the first round of matches at the ICC Cricket World Cup Qualifier 2018.